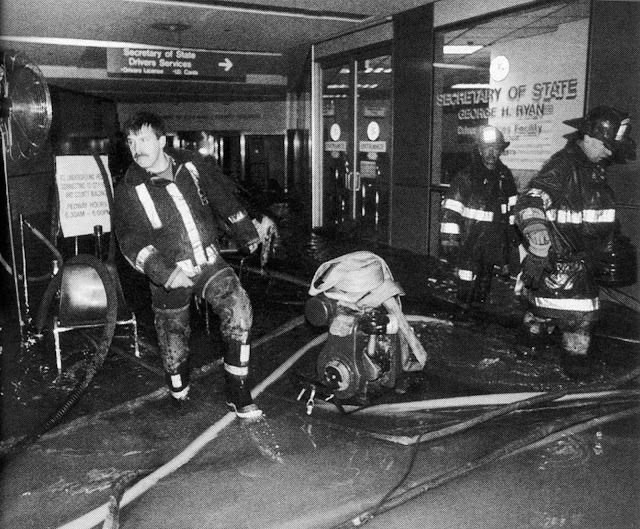 The Digital Research Library of Illinois History Journal™: The Chicago Flood of 1992. The Chicago Flood of 1992. 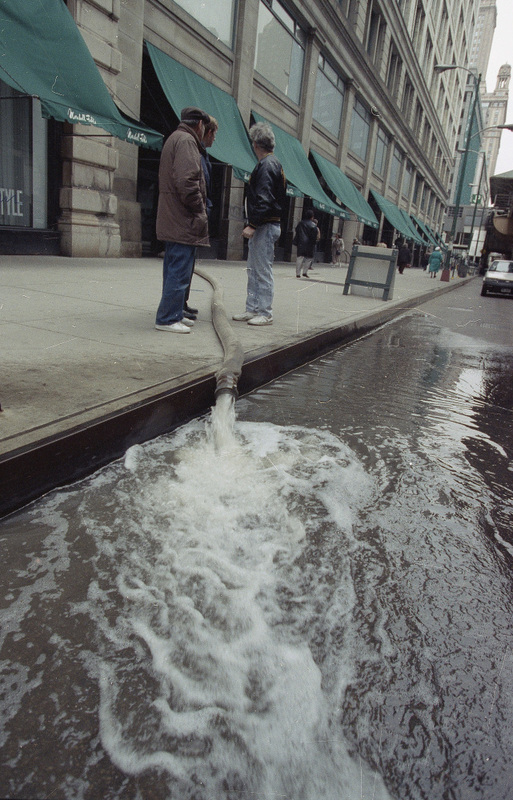 On the April 13, 1992, the Chicago River mysteriously sprung an underground leak which flooded subways and basements across the Chicago Loop with up to 40 feet of fishy water. People were evacuated and power went off while a mass of debris quietly began swirling in the river, directly above a breach in Chicago’s historic underground freight railway network. Lying 40 feet underground, the railway network once linked four public stations and many large businesses in The Loop. Over the years, the tunnels supplied telecommunications, delivered coal, transported mail and took excavation debris to the shore of Lake Michigan where it was used to create the land under Grant Park, Soldier Field and McCormick Place. In the early twentieth century, buildings were actually constructed with deep foundations in order to access these handy waterproofed tunnels directly (and possibly illegally). Unfortunately, after the tunnels were abandoned in 1959, the redundant access shafts were mostly bricked-up and forgotten about. 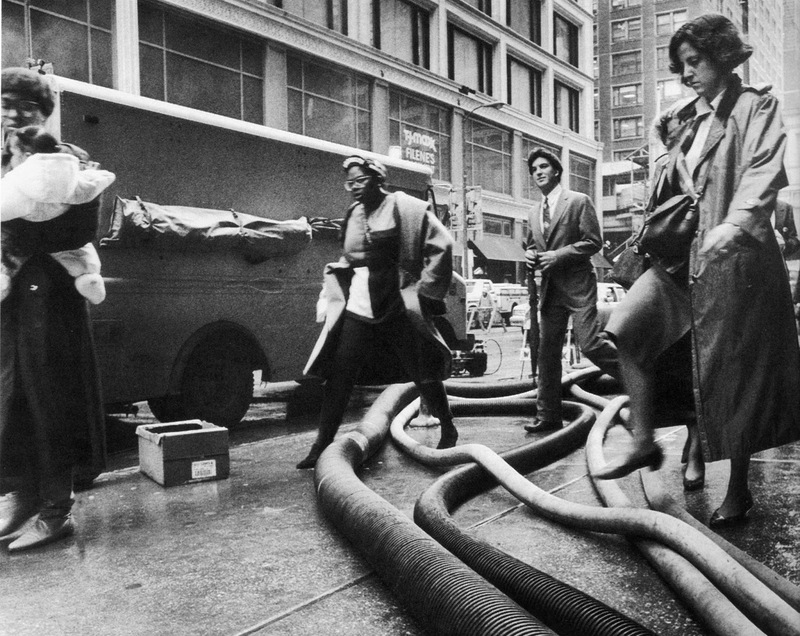 At least, this was the case until the early hours of the 13th when the basements of City Hall, The Merchandise Mart, Chicago Hilton and Towers, the Federal Reserve Bank and many other business district buildings and subways began to flood. 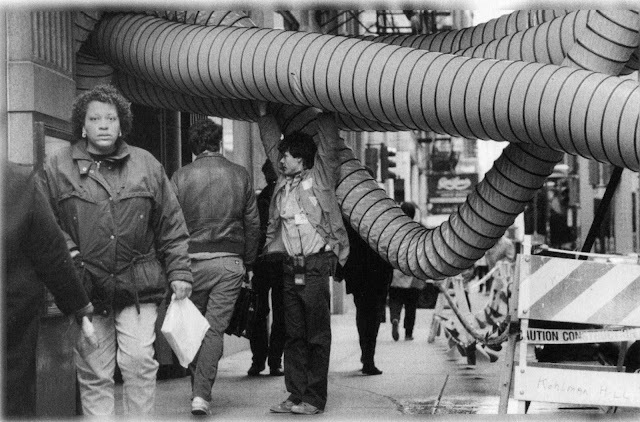 It was decided that the breached section of tunnel underneath the river had been slowly deteriorating under pressure created from a piling being driven too close to the tunnel wall during remedial work on the Kinzie Street Bridge back in 1991. 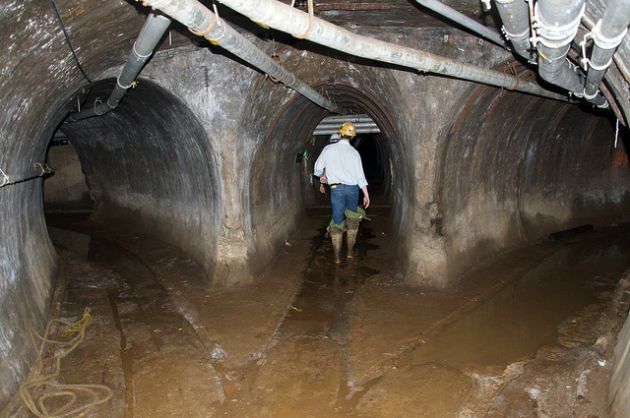 Allegedly, urban explorers had noticed what was initially a small leak inside the tunnel, which had been reported during a cable inspection but there was a delay in deciding who would fix it. Chicago’s resulting flood (or ‘leak‘ as it was called for insurance purposes) caused around $1.9 billion worth of damage. 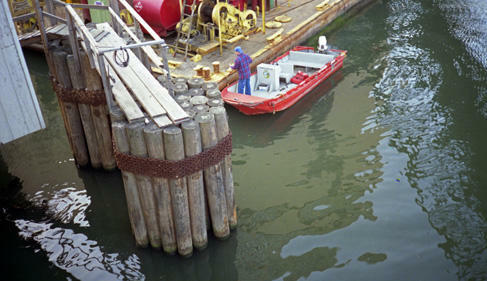 After attempts to close the breach by dropping rocks from above, the tunnels were finally drained, drilled and plugged. To prevent further problems, the section underneath the river was eventually sealed off from the rest of the network and the tunnels have since been secured after a terrorist threat. The C.J. Vitner Company, Chicago style snacks. Chicago's Jitney Cab War of 1950. The 1849 Calamity on the Chicago River. Fractional Cent Sales Tax Tokens In Illinois. Derailed Chicago streetcar accident, 1929. Peoples Gas Light & Coke Company History.